It’s been a busy month for me so far, I started October off by moving house. I didn’t go far, I’m still living on a hill in the middle of Wales but the house I’m in now is an old farmhouse with a lot more room for me, my boys and my business. You’d think that’d be enough for one month wouldn’t you? This picture is actually taken from the front door of the house I moved from! That close! Then I launched my October blanket, blanket sale. I really would like to start on some new designs so I have decided to offer a massive 40% off my beautiful heirloom blankets just for the month of October, there are still plenty to choose from in my Etsy shop here. Get in there for a bargain! Also in my Etsy shop this month I’ve added some amigurumi lions and some of my bags made from upcycled fabrics. I use one for my crochet things as a project bag but realised they make great everyday bags too! Too good a design not to share I thought. I’m very pleased to say that I’ve finally got my amigurumi unicorn design completed! I’ve been busy making them for the shops that I stock and hope to have some of them in my shop on-line soon too! A couple of the shops I made these for are new to me! So exciting!! I’m now stocking Charlotte of Hay in Hay-on-wye and have a cabinet dedicated just to my amigurumi in Wyeside Arts Centre in Builth Wells. So now I’m playing catch up a bit as Talgarth Mill Craft Shop have asked me for some too and Quillies in Rhayader will also be getting some. Goodness, this has got to be the longest blog post I’ve ever written! So much news to tell you!! My crochet lessons have been going well I’m nearly at the end of another beginners course in Builth Wells (always sad when these come to an end and I have to say goodbye to people) and have started running day courses in Rhayader which are brilliant fun! Lastly! I’ve made a prototype for a range of soft toys that I’ve been itching to make for months! Some of you may have noticed that there haven’t been many sock monkeys about for a while – this is why. I do like making the sock monkeys but over the past year my heart hasn’t really been in them and I decided to develop a range of fabric soft toys instead. This is my prototype dog! He’s about 21cm high. Right back to the crocheting for me now! To-Do Lists and Getting On With It! January has been so gloomy and wet, hasn’t affected my leeks though! I’ve finally got around to making some larger sock toys, using fabulously cuddly bamboo socks! I was a bit worried I wouldn’t like my own larger version of the little cheeky chaps that I usually make – but no! I love them! 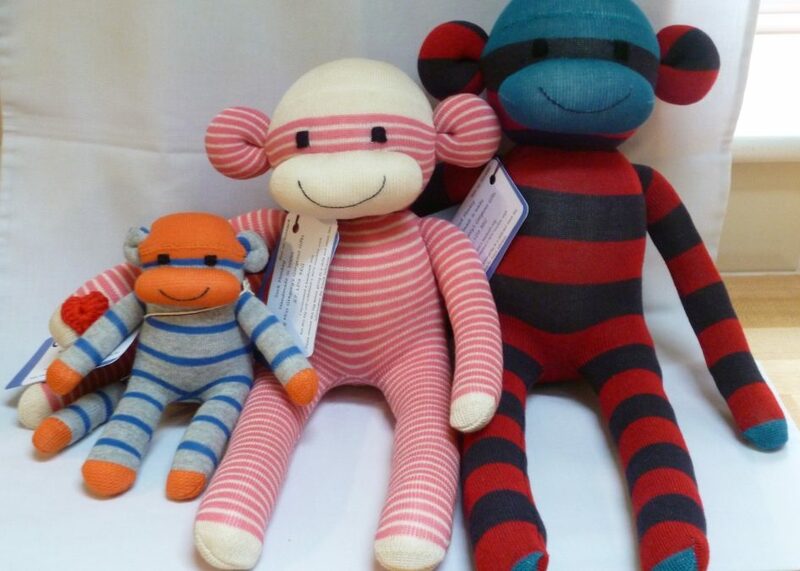 Sock monkey family – awww! The to do list that I made last year is still ongoing it seems! I did manage to tick off most of what was on it……. I’m trying to give myself a kick up the posterior and get an on-line shop sorted. Folksy? 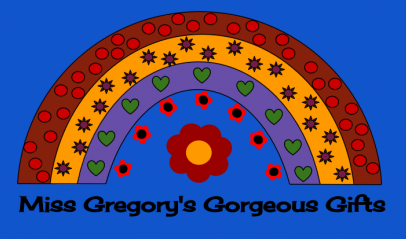 or Etsy? or both? I must admit it’s the initial sorting out bit that’s putting me off – making sure my T&Cs are correct, working out the postage, measuring my toys and writing decent descriptions for them – perhaps writing this will spur me on to actually do it! It’s not like I’ve been resting on my laurels though, I’ve been super busy re-testing my current range of toys to Toy Safety Regulations, putting the poor test subjects through the rigours of EN71 parts 1 and 2, writing up new technical files, and so on. Belinda and Katy are pretty old and worn now! That’s all the news for now, I will try to write more often now – it is on my to-do list after all!